Everything in life is your teacher. 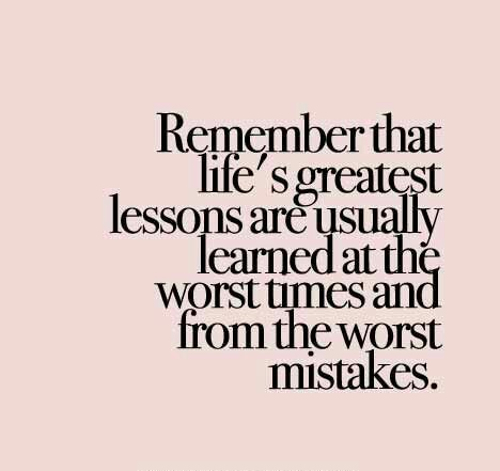 Everything in life brings a lesson that can help you be a better you. The worst times in your life can bring the best lessons, but they are often the most difficult to see. We can get so caught up in simply trying to survive the bad that we forget to notice what is available for learning. Unfortunately, this leaves us ill prepared for the next time. Learn from the past, even from the worst of it, so that you can build a better future.